The All Progressives Congress, APC, members of the National Assembly from the North-West has clashed with the Arewa Youth Forum over President Muhammadu Buhari’s second term ambition. 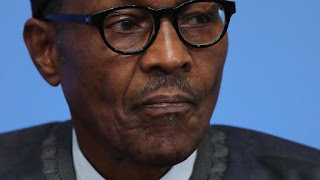 Some senators and members of the House of Representatives from the geopolitical zone had gathered in Kaduna on Sunday to declare support for Buhari’s second term ambition. The lawmakers from Kaduna, Kano, Katsina, Kebbi, Jigawa, Sokoto and Zamfara states, at the inauguration of local coordinators for the ‘North -West Young Parliamentarians in support of Buhari/Osinbanjo 2019, had said that the President had done so well in the areas of security, infrastructure development and deserved to return and complete the good job he had started. However, the AYF, speaking through its National President, Alhaji Gambo Gujungu, claimed that Buhari’s reaction to the killings so far was to blame politicians or make other excuses instead of tackling the matter head-on. The youths, therefore, argued that Buhari did not deserve re-election. “Being the Commander-in -Chief of the Nigerian Armed Forces, the buck stops on his table. It is important, therefore, for him to fish out the desperate politicians as a matter of urgency. “Therefore, to allow the President to come in 2019 will spell doom, not only for the North but for the entire country. This is not 2015 when we said North versus South. This is not the APC or PDP affairs.